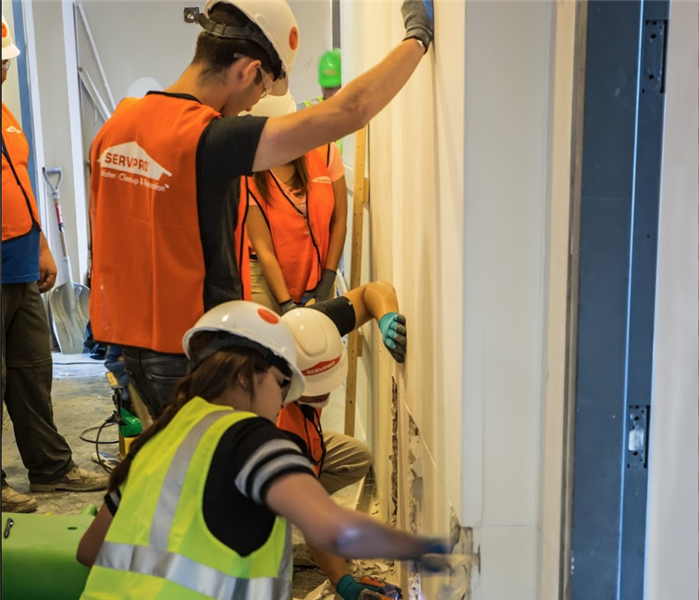 SERVPRO of Belle Meade / West Nashville is a trusted leader in the restoration industry, and our highly trained technicians provide you with 24-hour emergency service. When fire damage or water damage affects your home or business, we respond quickly to bring you the help you need. SERVPRO of Belle Meade/ West Nashville is perfectly positioned and is equipped with the training, equipment, and experience to complete all your restoration or cleaning projects in a timely and professional manner in the Nashville area. Locally owned and operated, our team knows the ins and outs of Nashville and its community. SERVPRO of Belle Meade/West Nashville is also a Better Business Bureau Accredited Business as well as a recipient of the Angie's List Super Service Award! We live and work in this community too; we might even be neighbors. As a locally owned and operated business, SERVPRO of Belle Meade / West Nashville is close by and ready to respond to your cleaning or restoration needs. We are proud to be an active member of the Nashville, TN community and want to do our part to make our community the best it can be.